Parking lot accessible from Chowen and Beard Avenues. Meeting to be held in the sanctuary, lower level accessible using elevator in the vestibule. 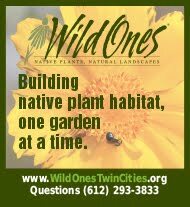 Learn from experts and/or Wild Ones members with a depth of experience. There will only be 3 sessions, but 8 different table topics-- so plan for the ones that interest you most! Download a table topics map here. The April meeting is also the kick off for our annual annual plant sale, attendees will receive $5 off their order. 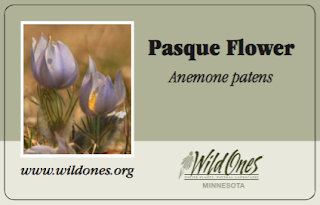 Plant collections for Twin Cities and Big River Big Woods Chapters 2016 Plant Sale are now posted on our website, and the order form available here. 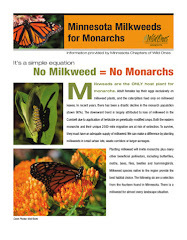 All plants available through this sale are native to Minnesota, neonic free and pesticide free! Pick-up sites in both Minneapolis and Roseville. And thanks to everyone who contributed to the record-breaking attendance at our March meeting featuring MN DNR plant ecologist Hannah Texler and botanical artist Vera Ming Wong! 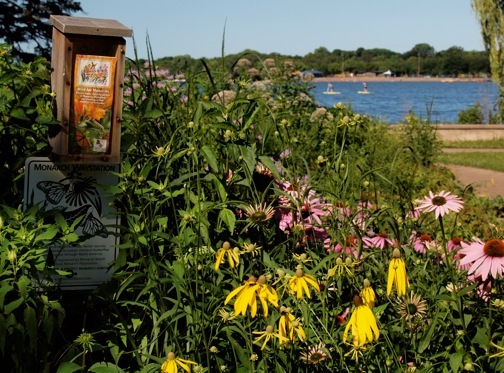 In case you didn't get a copy of Hannah Texler's article, "Home Is Where the Habitat Is," in the Minnesota Conservation Volunteer, a digital version with one of Vera Ming Wong's beautiful illustrations can be found here. 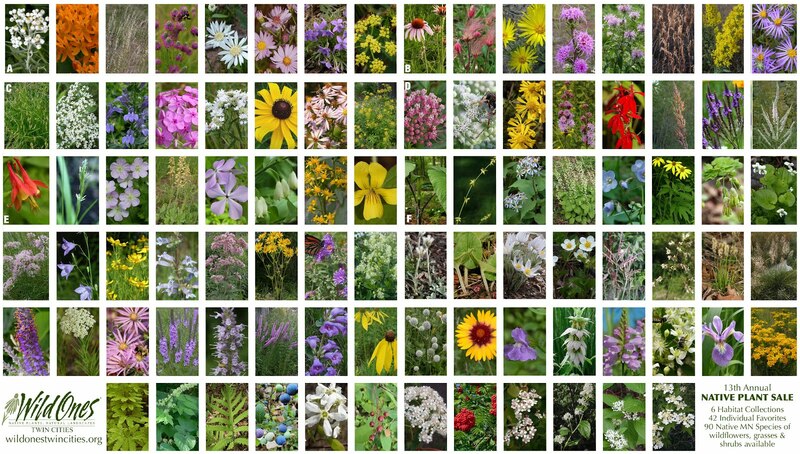 And here are a few of the resources Hannah shared to help determine which native plant communities belong in our own back (or front!) yards. 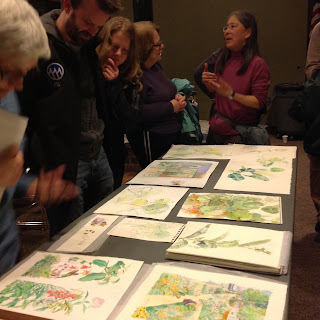 Vera Ming Wong (top right) presenting her original artwork for "Home Is Where the Habitat Is" at our March meeting.